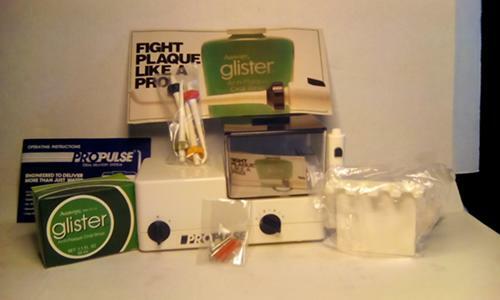 For Sale: Pro Pulse Oral Delivery System also known as a "WATER PICK". New never used wand heads are still sealed in plastic Machine is still in it original Boxs. OR if you dont want to use it as a water pick you can use it to GENTLY wash out wax buildup in your ear"With Caution" Pressure and flow(PULSE) can be controled for easy use. If interested text me(Only) at 814977nineteenfiftyfour Thanks for looking.